The RUSTICA Plus high casserole is perfect for everyone who loves uncomplicated cooking. 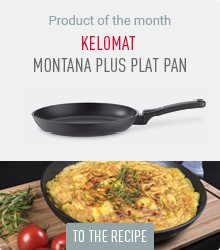 For thanks to the KELOMAT Plus quality non-stick sealing, nothing sticks to the base. With its green, non-porous KELOMAT special hard coating, it also provides cheerful accents in your kitchen. 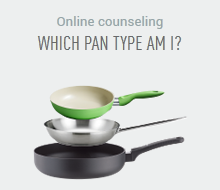 It has a diameter of 20 cm, which makes it ideal for cooking for two. In addition, the pot has a KELOMAT special hard coating on the outside and a Plus quality non-stick sealing on the inside. The extra strong thermo-plus-stable base conducts the heat extremely quickly and provides optimum energy exploitation. Thanks to the heat-resistant synthetic insulated handles, you can place the pot for serving on the table directly after heating.